went live last night !!!!!!!!!!! Hello and Happy Monday, have you had a great weekend? I am just about there catching up with everything after taking a week off, and SWUS has started!! YAY!! We had a fabulous launch party last night and I missed having my crafty friends all in one place at the same time. Like always we had a blast. 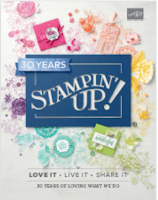 Now I was soo happy when I saw Stampin'Up! choose Greenhouse garden as their set to help Haiti people because at the time I designed this class there was no Earthquake. 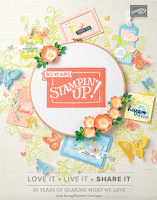 So I was delighted and here's the deal, if you read my previous post you will know I have set myself a challenge to sell at least 10 of those sets, if I do I am giving away to one lucky winner a £25 voucher to spend as they wish in the Stampin'Up! catalogue, well let me sweeten the deal even more EVERYONE purchasing this set from me in February will get this class absolutely free straight to their inbox. I have sold 2 sets already, would you help me get to 10? This stylish tote will hold 8 of the cards shown(2 of each design)but the tote would also make a wonderful gift bag as is quite big and sturdy. The colours used in this class are Sage Shadow, Apricot Appeal and Bashful Blue. 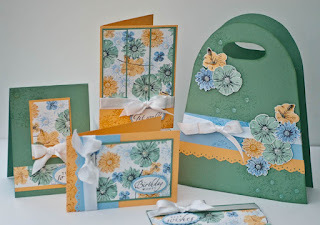 The cards are based on a one sheet wonder and all the centres of the flowers have crystal effect and dazzling diamonds added for extra sparkle. What a great class Monica and I LOVE that tote! Awesome work gf!! !